My littlest first discovered this book after her kindergarten teacher shared it with the class, so when I brought it home this school year I was very late to the party. Even so, she’s enjoyed having this book here at home and after reading it I was so glad she was first introduced to this book in the classroom. 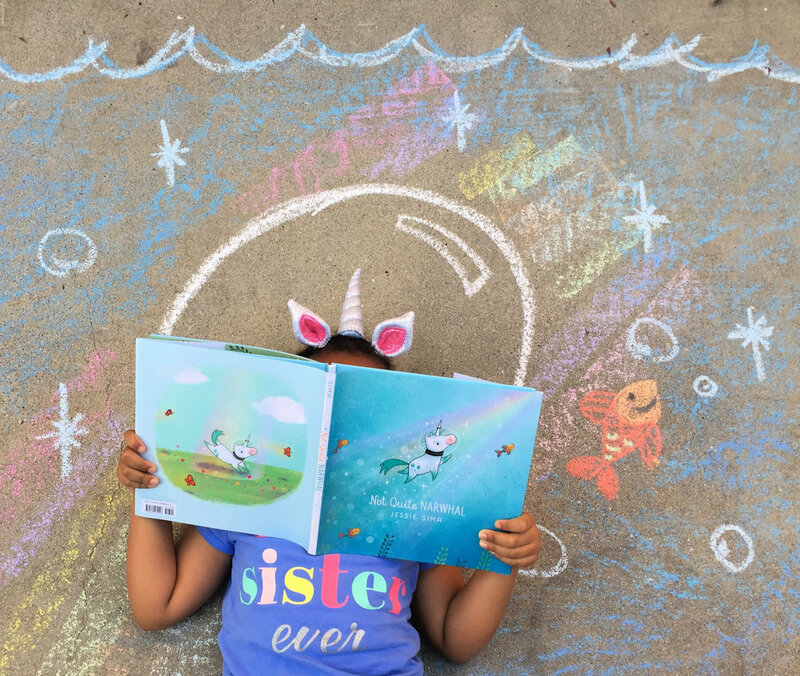 Beautiful life lessons, narwhals and unicorns — this book is magic! We love this story about Kelp’s journey of self discovery and finding out just where he belongs. Whether he’s blending in with the other unicorns or standing out in the sea with the narwhals one thing is ever so clear — he is loved for who he is. I don’t think it gets much sweeter than that.